Bi-Metal Hole Saw - Morse "ADV"
The Service Warehouse and our collective customers buying power have secured extremely attractive pricing on this product, offering both performance and value. 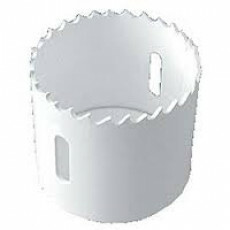 These hole saws feature a Cobalt matrix HSS laser welded cutting edge with positive rake, 4/6 variable-pitch teeth. Manufactured in the USA. We added these saws to our line as an economical alternative to the numerous expensive name brand products currently on the market. Cuts: Brass, Cast Iron, Aluminum, Stainless Steel, wood, and plastic.